Oppo R15 Pro is a high end smartphone launched in 2018, March with Hybrid dual-sim. The stylish phone is equipped with AMOLED capacitive touchscreen. 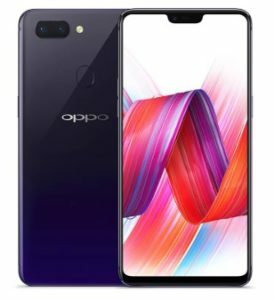 Oppo R15 is a beautiful phone with smart features and also known as dream mirror of China. The high-end phone comes with a large display of 6.28 inches covered by corning gorilla glass 5 technology. It include 1080×2280 resolution pixels. When you take a review of its internal storage, you will be surprised to know that Oppo R15 Pro offers enough memory of 128 GB and also support micro-SD card upto 256 GB. It is packed by powerful processor that include octa-core Snapdragon 660 with 6 GB RAM to increase the performance and stability of the phone. If you are camera addicted, then you need to catch Oppo R15 Pro as it offers Dual 16MP + 20MP Primary camera with LED flash and 20MP secondary camera. The version of OS installed on it is latest Android 8.1 (Oreo). The sensor on the phone include finger print, accelerometer, gyro, proximity and compass. The price of Oppo R15 Pro in India starts from 35,990.